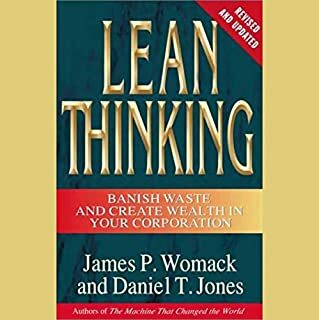 Womack and Jones, the authors of The Machine That Changed the World and creators of the "lean enterprise" theory, take leanness to the next step with a focus on what the customer really wants, not what it is possible to get him to accept. This is the management book for the next business generation. 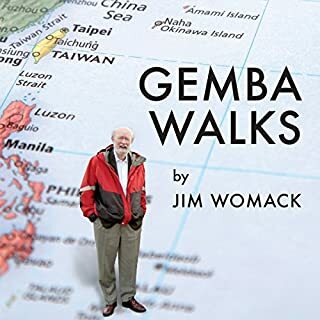 In 12 new essays ranging from the provocative to the practical, and written specially for the second edition of Gemba Walks, author and management expert Jim Womack reflects on the past 30 years of lean and assesses the current state of lean today. 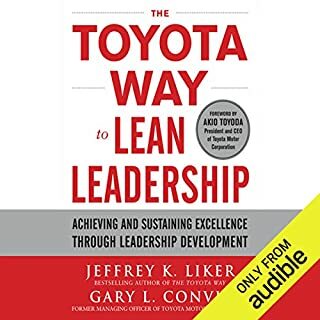 This book adds examples from over twenty years of experience by Dr. Liker in working with companies outside of Toyota. 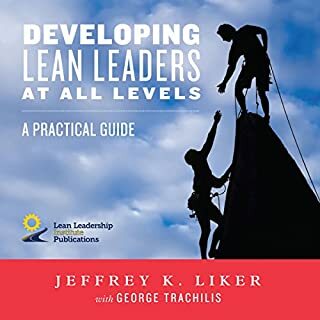 This audiobook treats you as a student who will be actively engaged in developing lean leader skills as you read. It acts as a tutorial for beginning the journey! 2 Second Lean will flip your world right-side up. It's a practical way to improve your life every day by making a simple two-second improvement. 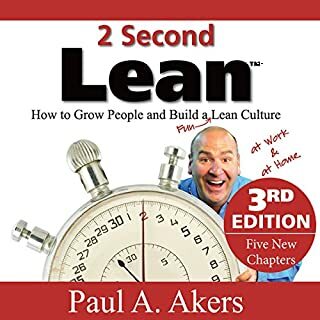 Join author, business expert, radio show host, and international speaker Paul A Akers, as he takes you on a LEAN journey that will transform every aspect your life - from your home to the office. I Listened To This Straight Thru! Authors Womack, Jones, and Roos provided a comprehensive description of the entire lean system. They exhaustively documented its advantages over the mass production model pioneered by General Motors and predicted that lean production would eventually triumph. Indeed, they argued that it would triumph not just in manufacturing but in every value-creating activity from health care to retail to distribution. Classic marking the origin of Lean methodology. UCLA psychologist and organizational consultant Dr. Robert Maurer provides a simple and proven effective technique for making major changes with minimal disruption. Applying the operational concept of kaizen - small, continual improvements - to common management challenges, managers can drive major improvements with a series of well-planned techniques for boosting quality, innovation, sales, and morale. A must for anyone that wants to achieve. How do the really exceptional CEOs get more done in less time than everyone else? What is their technique for getting their work done, while still having the time to spend pursuing hobbies and spending quality time with their friends and family? The truth is that great and lazy CEOs know a secret when it comes to time management. Rather than spending a little time on a lot of things, the best CEOs spend most of their time eliminating the single biggest constraint to the growth of their business. Following up on the ferociously innovative Escape Velocity, which served as the basis for Moore's consulting work to such companies as Salesforce, Microsoft, and Intel, Zone to Win serves as the companion playbook for his landmark guide, offering a practical manual to address the challenge large enterprises face when they seek to add a new line of business to their established portfolio. 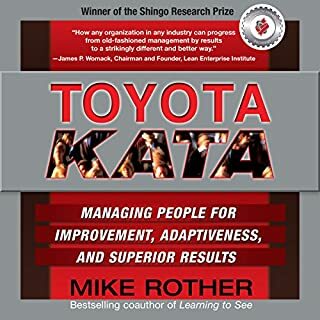 Ever since Toyota introduced the revolutionary Toyota Production System (TPS), businesses have tried to replicate Toyota’s success. Few have succeeded. What businesses have failed to realize is that TPS calls for a fundamentally different way of thinking. At long last, here is a straightforward guide that make sense of the thinking culture behind Toyota’s success. Tracey and Ernie Richardson speak from the heart as Toyota employees who worked in the Kentucky factory when the company was first introducing its people-first approach in the US, and went on in the ensuing decades to teach Lean thinking around the world. Drawing on in-depth interviews with some of the best known lean-practicing CEOs, this groundbreaking book shows how to implement lean in virtually every type of company and facet of the organization. The power of lean to build world-class performance requires a corporate-wide commitment to long-term, continuous improvement that very few organizations have made. The Lean CEO bridges the gap between lean and conventional management practices in a way that addresses the specific needs of executives. 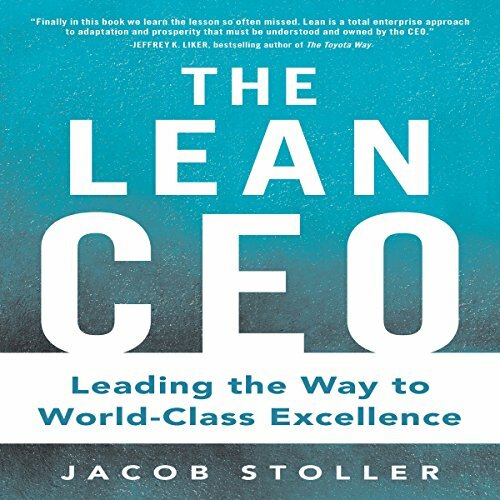 Filled with narratives from leaders who have taken the lean journey with great success, The Lean CEO offers a detailed account of how top executives have reconciled lean activity with traditional management practices in order to meet broad corporate objectives. Listeners learn how to use lean to eliminate waste, reduce costs, spark innovation, improve quality and delivery, engage employees, and build a sustainable future. Jacob Stoller is a business journalist with expertise in implementing lean throughout entire organizations. this is a great read across industries of lan being backed by CEOs for lasting cultural change in many companies. The reader is clear and easy to understand, however it did feel like this book would have benefited greatly by being read in different voices as the different business leaders stories were told. I liked the history of Lean, and hearing the journey that each lean company took to get there. Worthwhile! I enjoyed the read. What did you love best about The Lean CEO? Another well done Lean Process book. Packed with some great examples of how much impact Lean and continuous improvement can have.